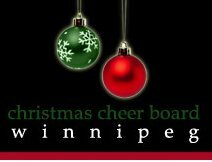 Over the holiday season Balance Chiropractic & Wellness Centre will be collecting donations for Winnipeg’s Christmas Cheer Board. This year our office we will be preparing a hamper for a family with young children(ages 3-8). We would like to say thank you for your generous donations over the years (check out how we’ve done in the past here). We are fortunate to be able to help a local family during the holiday season!